Jordan Rakei's fusion of soul-based songwriting and club culture delivered one of 2017's most special releases. His album 'Wallflower' was given overwhelming critical acclaim, placing second at Gilles Peterson's Worldwide awards. The record is still travelling, still winning new fans, with Jordan Rakei plotting a SXSW stint, shows at legendary jazz hub Ronnie Scott's, and more. Album highlight 'Eye To Eye' has been given the visual treatment, and the New Zealand born artist was put through his paces during the shoot. 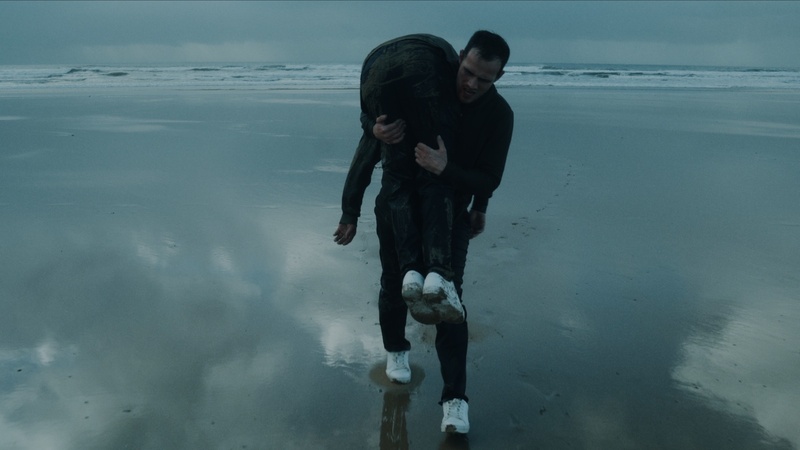 Directed by Tom Ewbank, Jordan is the despairing protagonist trapped on the Welsh coast in December. "We shot the music video on the Welsh coast in the middle of December, which came with a few challenges, not least the temperature of the sea and the weather!” explains Tom. “This was the first bit of acting that Jordan had done and I was initially concerned that we may struggle to transform one of the nicest and most considerate people I know into a psychopath. I'm not sure what Jordan's performance says about him as a person but his portrayal is very convincing and at times terrifying. I've always enjoyed working with Jordan and I feel very fortunate to have worked with him on this project, hopefully his fans enjoy the video as much as we enjoyed making it".